Saloca in Wonderland: Are bloggers being forced to over share? 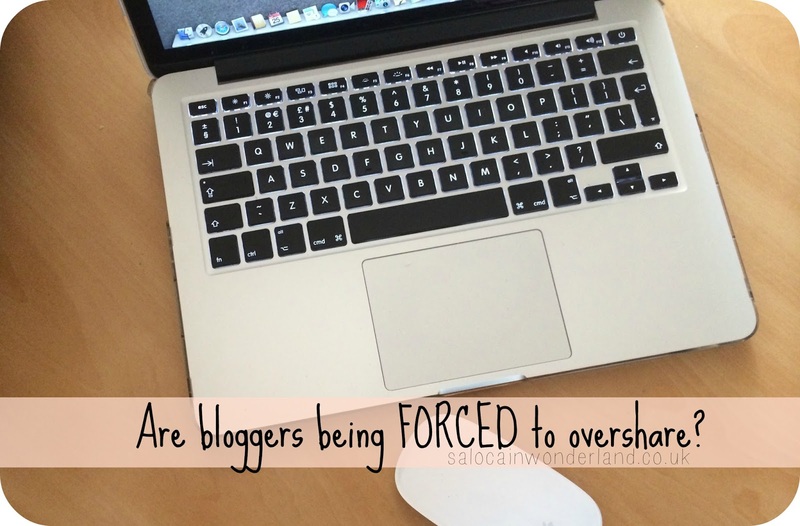 Are bloggers being forced to over share? Here’s a thought. Are bloggers being encouraged to over share on their blogs in order to keep their audiences attention and views? Are bloggers being made to feel like they need to expose their soul, dirty laundry and all in order to appear just like you - the reader? I watch a lot of YouTube. Mostly it’s daily lifestyle bloggers and travellers. We’re all a little voyeuristic, who isn’t curious about what goes on behind other people's closed doors? A couple of bloggers have told me their most popular posts are the personal ones. And I agree, I love reading about others peoples strifes and struggles. I think there’s a lot to be learned from what others have gone through. But bloggers exposing their souls feels like it’s becoming a must blog about topic you have to tick off the to-do list. And if you’re not blogging about your troubles? If you’re not calling out someone who might have virtually roughed up a fellow follower on Twitter? Then you’re being branded as a fake, a phony, you’re being forced into a dark little corner of the internet where you must strip down and bare your shame for page views and comments - all to prove you’re a real person. Because real people can't possibly be so happy and positive all of the time. Wait...hang on...this is news to some people? Woah. 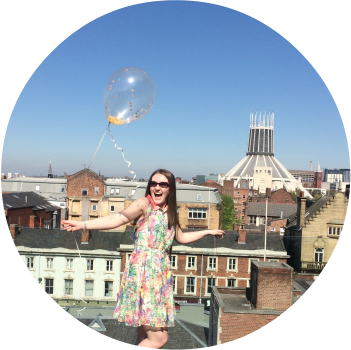 Why do bloggers need to keep proving themselves? Are we still naive enough to think that every filtered photo on Instagram is a true representation of someone's life - but then if we think it’s too perfect then clearly they’re lying and we should call them out on it and force them to prove they have bad days too. Blogging, sharing, picture taking, isn’t this supposed to be fun? Our blogs are supposed to be a safe place, where we can talk and share whatever the hell we want to without trying to appease and appeal to everyone who stops by. I have found myself on blogs I have not liked. Be it their writing style, layout, thoughts, opinions, whatever. There’s been a reason it hasn’t tickled my fancy, but do I troll them? Leave hate? Call them out on Twitter because I don’t agree with them? I click that little red X (or red dot it you’re on a Mac) and I leave. Should that blogger suddenly have to go back on everything they have said because little ol’ I didn’t agree with them? They’ve lost that single returning visitor because of their opinion. Oh no! Sound the alarm bells. Our blogs are our places on the internet to share. I accept the fact not everyone will read my blog, and those that do might not even like it very much. Hell, if you’re reading this now your might be shaking your head thinking, did she write this drunk? The answer is no, and if you don’t like it? See the information above. Some people’s Instagram accounts might look all pink, frosted, full of sweetness and light. They might spread rainbows and unicorns on Twitter. I might not know these people, but I’m pretty sure their offline lives don’t come with a dollop of extra sweet buttercream on a daily basis. But why should they be forced to share the sour moments in their life just to prove something? Your blog is your space. Do with it what you will. The same goes for all your social media accounts. You have nothing to prove and no-one to please other than yourself. If you don’t like what someone else is doing let them be. You think they’re too happy, too positive, too perky all of the time, let them be. They’re not hurting you, or harming you in any way. Maybe they don’t feel like sharing all the skeletons in their closet, chances are you probably don’t either. HUUUUUUUUUUUUUUUUUUUUUUUUUUUUGE slow clap for this post. Very well said! I purposely keep most of my personal problems off my blog, unless it relates directly to my blog's theme, which is expat life in Germany. I'll write the occasional post about visa issues, struggles with German bureaucracy or the disappointments I've experienced at my university, but I don't feel the need to bare my innermost secrets just to get more online attention. If people don't want to read the posts that I've written about a topic that I am passionate about, then they can read a different blog. I completely agree with this! I love blogging and connecting with people. But the internet is so saturated with info, I feel like I need to comment on x blogs daily and retweet x people, just to get someone to maybe glance at my blog for 5 minutes. As a marketing major I love doing the whole networking and sharing but I always wonder if I'm getting quality readership that way or if I'm just coming across as annoying. Love this SALOCA. I'm the same as you, if I don't like a blog I just leave. We are all different and not all of us are going to like every single blog out there! It's cool. I agree. I had issues with a blogger because of what "fake" means (high heels and makeup or just being positive). I don't want to blog about my problems because they are personal and I don't want to read a huge list of complaints next month or on my yearly roundup. I totally agree. I'm new to blogging and I feel like there's a lot of pressure to tell everything about yourself, but like you said, it's your own blog and you should be able to write whatever you want on it!